Galapagos cruises and tours explore the archipelago of some 13 volcanic islands and associated islets and rocks located in the Pacific Ocean about 1,000 kilometers west of the coast of South America. The Galapagos Islands are also called "Las Islas Encantadas" (enchanted islands) or Archipelago de Colon (Christopher Columbus archipelago). The oldest of the islands are about 4 million years old and the youngest are still in the process of being formed. 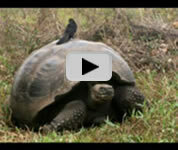 The Galapagos archipelago is located on the equador about 600 miles of the coast of Ecuador. It begins with the misty, volcanic land-and-seascapes. Indeed, the Galapagos Islands are considered to be one of the most active volcanic areas in the world. The main islands are Fernandina, Isabela, Santiago, Santa Cruz, Floreana, Española, San Cristobal, Genovesa. Santa Fe, Marchena, Pinta, Rabida & Pinzon. The wildlife of the Galapagos Islands has been documented for centuries, first discovered in 1535 and used as a stopping point for ships, Charles Darwin also visited the Islands in 1835.The development of many unique species contributed largely to Darwin's theory of evolution. Admire mysterious creatures like the armies of marine iguanas, flightless cormorants birds that have lost their ability to fly and penguins at the equator line. And other species that are endemic to this paradise. 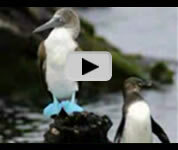 The Galapagos Islands are the nature lover’s dream come true. They were declared a World Heritage Site in 1959. 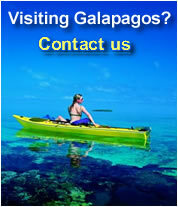 Galapagos Tour include a variety of different itineraries. Island visits extend both north and south of the equator; the equator passes right through the northern part of the largest island, Isabela.